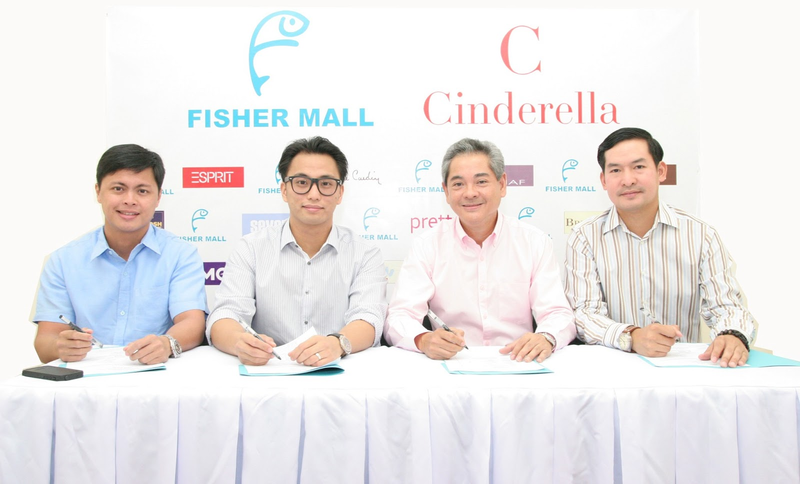 Signing the contracts from left to right are Paul Gerard Del Rosario, Vice-Chairman of Mallers Investment Inc.; Ray Del Rosario, President of Fisher Mall; Arthur Coronel, President and CEO of Cinderella and Richard Santos, Group Manager for imported brands of Cinderella. Raise your hand if you have been a Cinderella patron. I for one have bought a lot of my clothes and my kids from merchants under their umbrella company such as Oshkosh Bigosh and Nafnaf. The company still expand their tents by opening more branches. Just last Monday, Fisher Mall had welcomed Cinderella as a pioneer fashion tenant with its 800- square meter store, and its other boutiques such as Esprit, Clarks, NAFNAF, Pretty Fit, Oshkosh and Pierre Cardin, amongst others. Fisher Mall will be ready for shoppers in time for Christmas this 2013. It is located at the heart of Quezon Avenue corner Roosevelt Ave, the former Pantranco bus terminal. It will carry its own anchor stores such as Fisher Fashion Store, Fisher Supermarket, 5 digital cinemas, Playland game arcade plus a wide array of dining options.